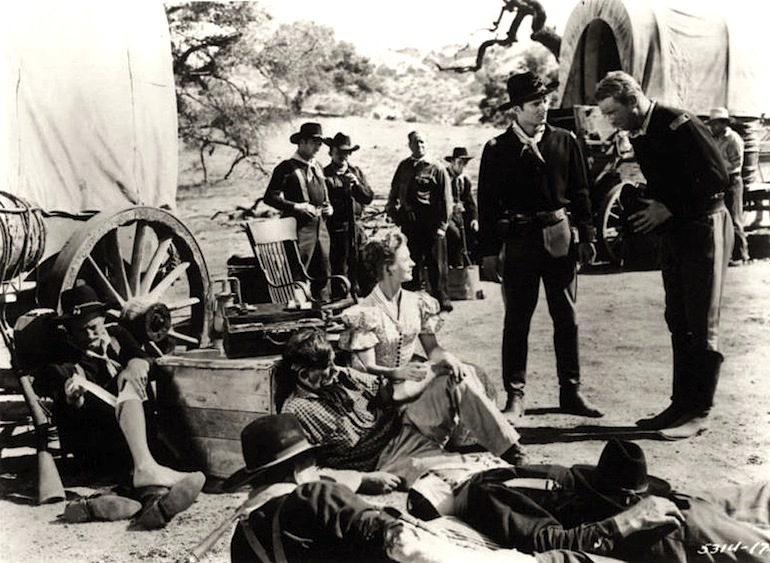 During the first half of the 20th century, Ohio-born dentist Zane Grey was the best-selling author of wildly popular novels, most of them set in the American west. 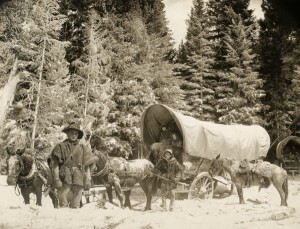 Beginning with Riders of the Purple Sage in 1912, the public had an apparently unquenchable appetite for his stories. 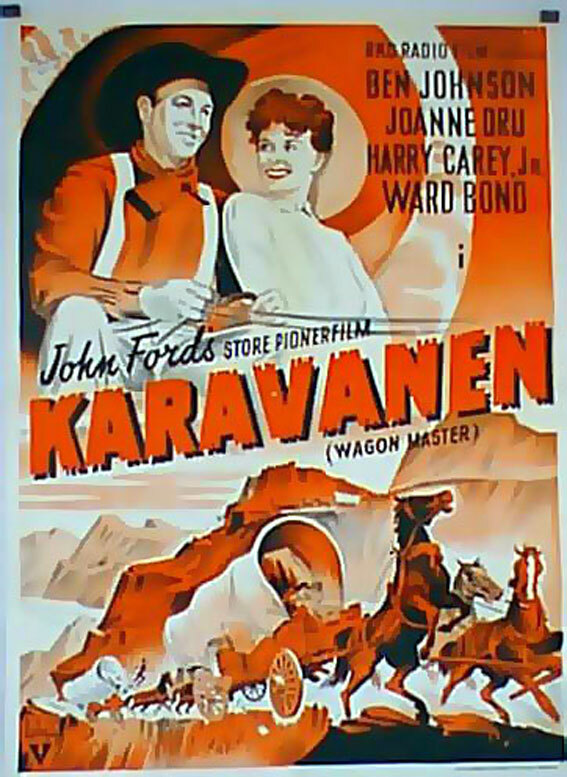 His 1929 novel Fighting Caravans was hot off the presses when this western was made based on it. In all, as of 2012 112 western movies had been based on his works. 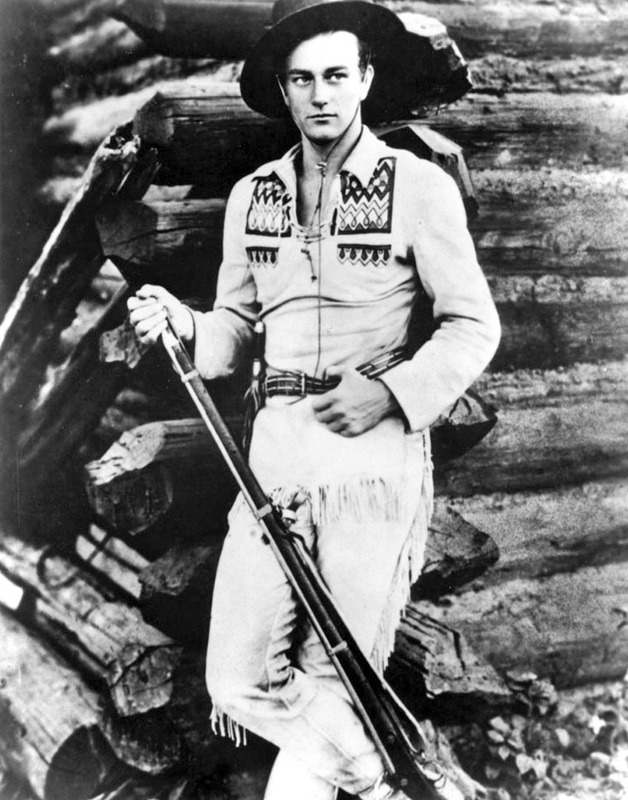 In 1931, Gary Cooper was an up-and-coming star in Hollywood at the age of 30. 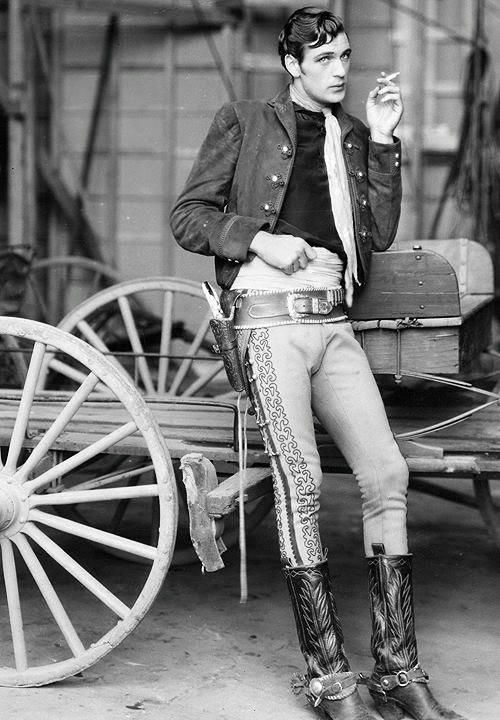 His breakthough had come in 1926’s silent movie The Winning of Barbara Worth, a sort of western about the reclamation of California’s Imperial Valley. 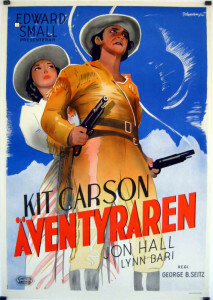 He had always done westerns, including early sound versions of The Virginian (1929, now thought to be lost) and The Spoilers (1930), among others. 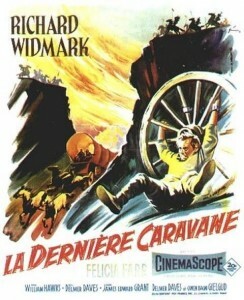 In 1930 he had appeared as the romantic lead in the popular Morocco, along with Marlene Dietrich. Cooper had made it. 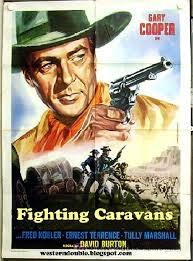 He was the biggest name in Fighting Caravans. 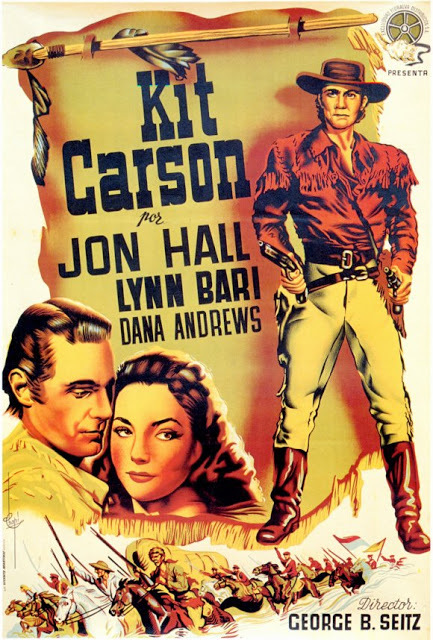 In the early sound era of the 1930s, most westerns were B-movies, quickly and cheaply made with poor writing and routine direction. 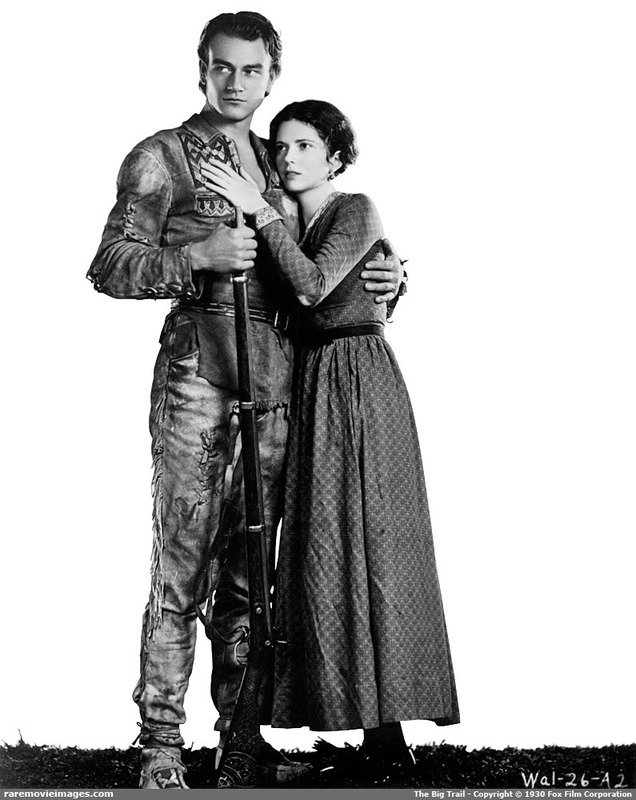 They had no cinematic prestige. Fighting Caravans was more ambitious, shot on location in Sonora, California, with a big star like Cooper. Bill Jackson (Ernest Torrence, left) and Jim Bridger (Tully Marshall, right) connive to get Clint (Gary Cooper) and Felice (Lili Damita) together and then to keep them apart. 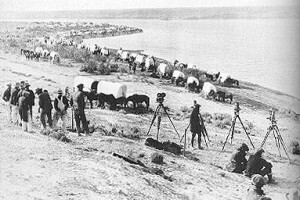 In the Civil War era (1862), a wagon train is about to leave Independence, Missouri, bound for Sacramento in California. Scout Clint Belmet, who tends to drink too much and raise hell in a recreational sort of way, is being held by the local marshal. 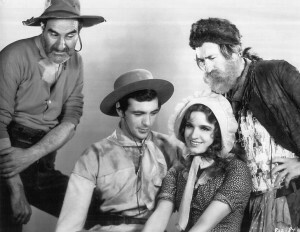 Belmet’s mentors, old scouts Bill Jackson (Ernest Torrence) and Jim Bridger (Tully Marshall) persuade Felice (Lili Damita), a young French woman with a wagon train that is about to leave, that she will be left behind if she has no man to help her, so she tells the marshal that she and Belmet were married the previous night. 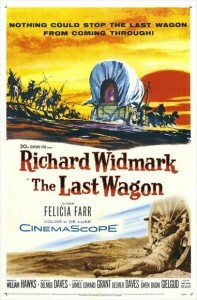 Belmet is released, and he and his two older friends arrange to scout for Felice’s wagon train. 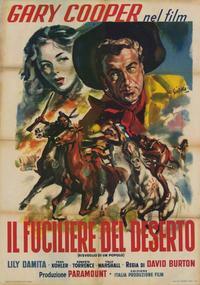 Although he is not interested in marriage, Belmet finds that he is interested in Felice. 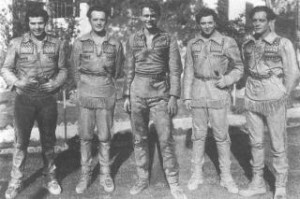 The old scouts scheme to break them up, so Belmet will maintain his freedom and remain with them. Ultimately, Felice and Belmet have a falling-out over his refusal to contemplate marriage and family life. Meanwhile, the wagon train is hounded by Kiowas, which is unusual on the Oregon-California Trail; the Kiowas ranged farther south and were much more likely to be found in the areas of Texas, Oklahoma and New Mexico, near the Santa Fe Trail. 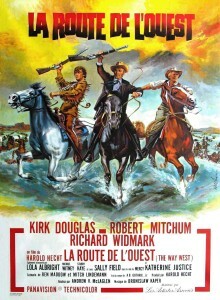 Belmet leaves the wagon train because of Felice, but he, Jackson and Bridger rejoin it when they see an Indian attack coming, inspired by white renegades. 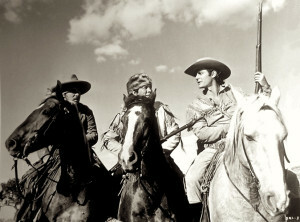 Belmet (Gary Cooper) takes aim at hostile Kiowas; Felice (Lili Damita) and Belmet (Cooper) have a difference of opinion. 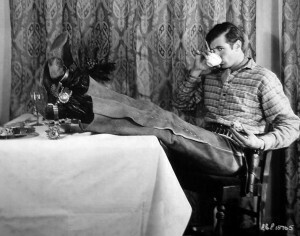 A couple of shots of Cooper behind the scenes. The obvious comparison for this film is with The Big Trail, made the previous year with larger-than-usual ambitions. 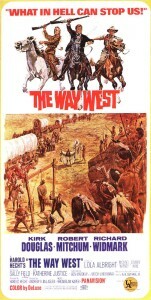 Both are wagon train westerns from the early sound era, with virtually the same plot–getting from Missouri to northern California, with a young scout. 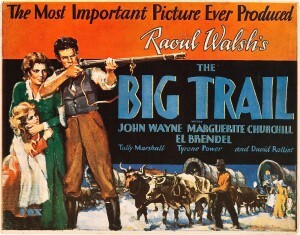 The Big Trail, in which director Raoul Walsh was experimenting with making a 70 mm. 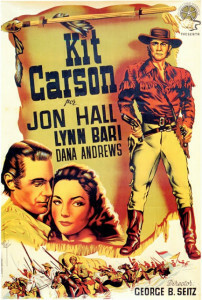 movie, bombed at the box office because theaters didn’t have the equipment to show it, but it was superior visually. 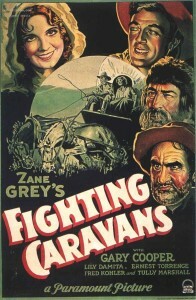 Fighting Caravans, with its more prominent star, did much better commercially. 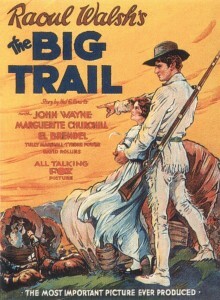 The Big Trail was supposed to make John Wayne a star; it didn’t because few saw it, but he wasn’t bad. 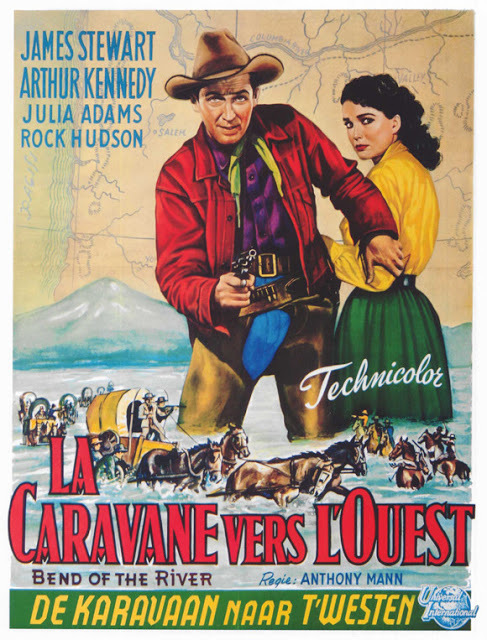 Compare his straight-ahead acting with the hokiness of Gary Cooper in Fighting Caravans, although some of that is the result of the writing. Tully Marshall plays the scout/wagonmaster’s mentor in both films, but he’s more significant in The Big Trail. Film technology of the early sound era makes both movies seem somewhat dated, but the dialogue and social attitudes (heavy recreational drinking as one of life’s prime objectives, for example) of Fighting Caravans have aged more. There’s a certain amount of overacting in both. 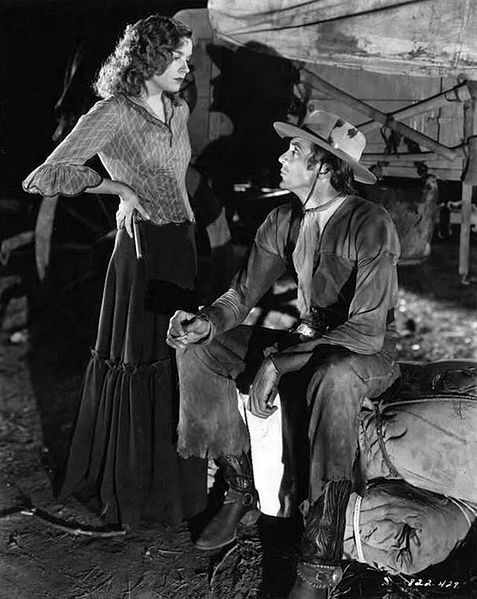 The lively Lili Damita (who became Errol Flynn’s first wife in 1935) is more interesting than Marguerite Churchill as the romantic object of John Wayne’s attentions in The Big Trail. 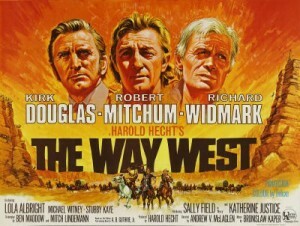 Taken as a whole, The Big Trail is longer, better and more significant in the history of western movies. 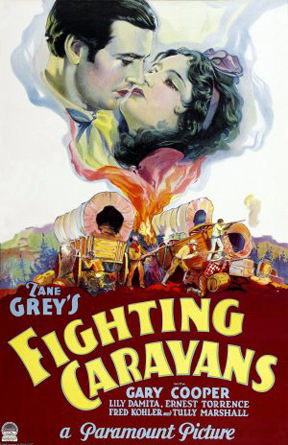 The principal reason for watching Fighting Caravans now is to see Gary Cooper, one of the greatest of western stars, in the early stage of his career. 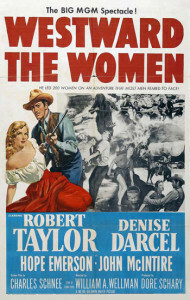 Lili Damita joins a string of French women in westerns: Denise Darcel in Westward the Women (1951) and Vera Cruz (1954), Nicole Maurey in The Jayhawkers (1959), and Capucine in North to Alaska (supposedly from New Orleans), 1960. She can hold up her head in that company. 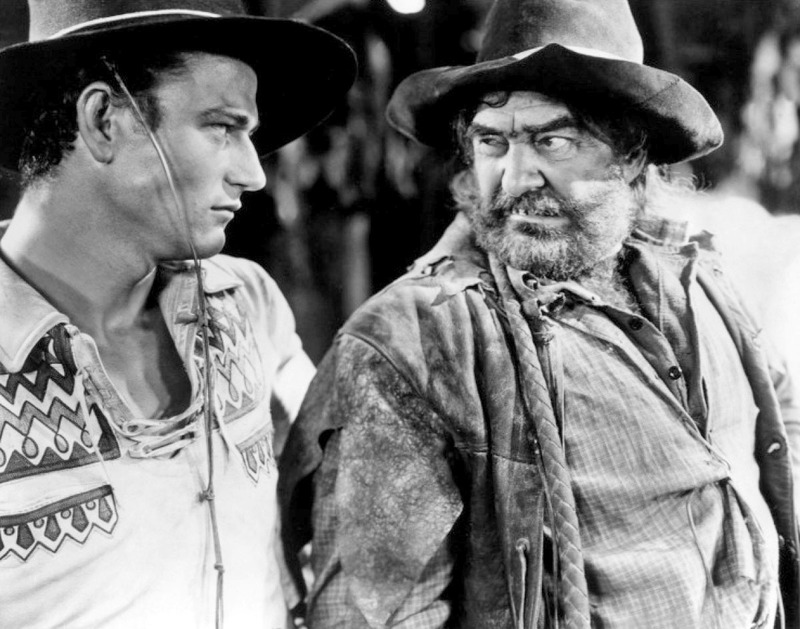 Gravel-voiced Eugene Pallette, who would show up later in the decade as Friar Tuck to Errol Flynn’s Robin Hood and a Mexican soldier in The Mark of Zorro, is mild comic relief here. 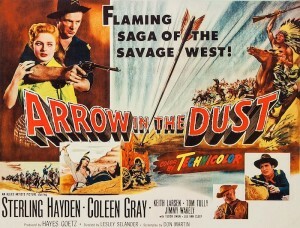 The original title of the production was Blazing Arrows. 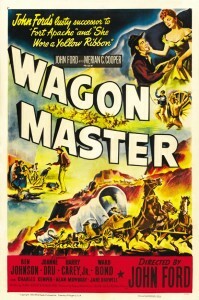 Three years later, a lower-budget remake was released as Wagon Wheels, using stock footage from Fighting Caravans and with Randolph Scott in the Clint Belmet role. Filmed in black and white on location near Sonora, California, at 81 minutes. This entry was posted in Westerns Worth Watching and tagged Gary Cooper, Wagon Trains on December 29, 2014 by Nicholas Chennault. Wallace Beery is the eponymous Zeb Bascomb, leader of an outlaw gang, in this blatant attempt to recapture the sentimentality of his earlier hit with Jackie Cooper, The Champ (1931), which had been in turn a variation on Charlie Chaplin’s sweeter The Kid (1921)–a societal outcast is reformed or saved by the love of a child. In other ways it uses story elements from the 1940 western Wyoming, in which Beery plays a nasty military deserter who ends up helping the good guys in a range war. 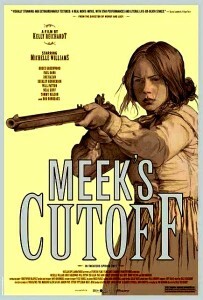 Shortly after the Civil War, Bascomb and his gang try to rob a bank, only to run into a trap with law officers waiting for them. Pursued by a posse, Bascomb, Bart Yancy (J. Carroll Naish) and young Jimmy Holden (William Marshall) escape and join a Mormon wagon train headed for Utah. 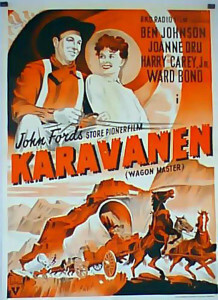 There is gold hidden on the train, and eventually Yancy finds it. The plan is to take the gold and flee. 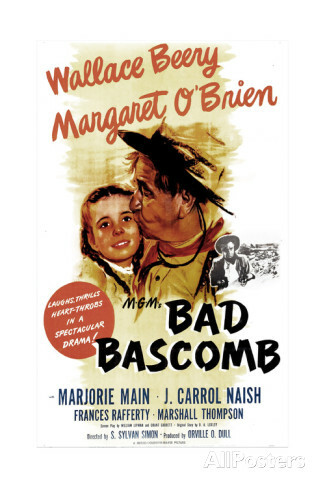 However, by now Bascomb, going by the name Zeke Smith, has formed a relationship with nine-year-old Emmy (Margaret O’Brien), a member of the lost (and particularly clueless) Mormon wagon train. And Bascomb further becomes romantically entangled with Emmy’s grandmother Abbey Hanks, played by Marjorie Main. As the head elder lies dying, he entrusts leadership of the wagon train to Bascomb and makes him promise to get them through to Utah. 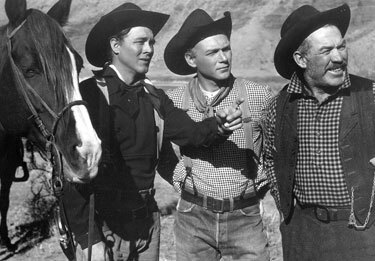 Yancy is disgusted and leaves to see if he can find more reliable allies. 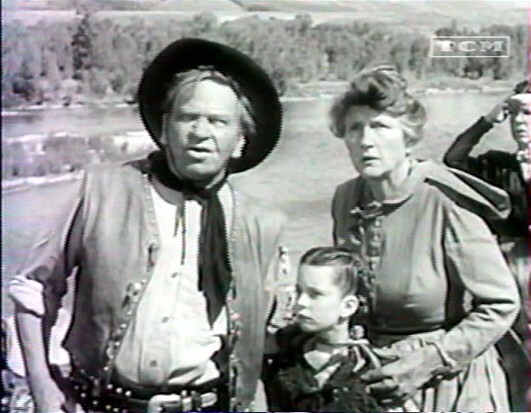 Bascomb (Wallace Beery) with Emmy (Margaret O’Brien) and her grandmother Abbey Hanks (Marjorie Main). 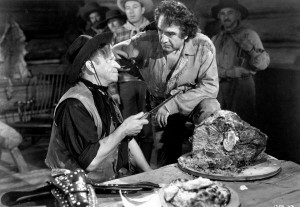 Bascomb (Beery) and Bart Yancy (J. Carroll Naish) have a difference of opinion. 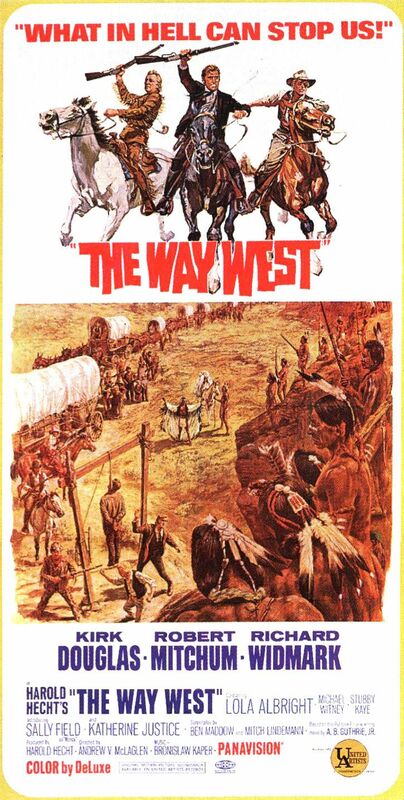 As the wagon train encounters hostile Indians, egged on by Bascomb’s now-former associate Yancy, Bascomb directs the set-up of the defense and rides off 40 miles to seek help from the cavalry. 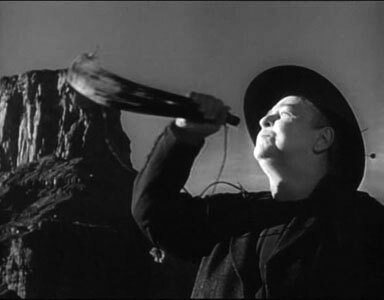 (That’s an obvious double doing all the hard riding on film for the 61-year-old Beery.) He fights off Indian attackers in his desperate ride, and meanwhile the wagon train is attacked. The defense is led by Bascomb’s young (outlaw) associate Jimmy Holden, who has come to fancy one of the young ladies in the wagon train and, like Bascomb, is forsaking his outlaw ways. 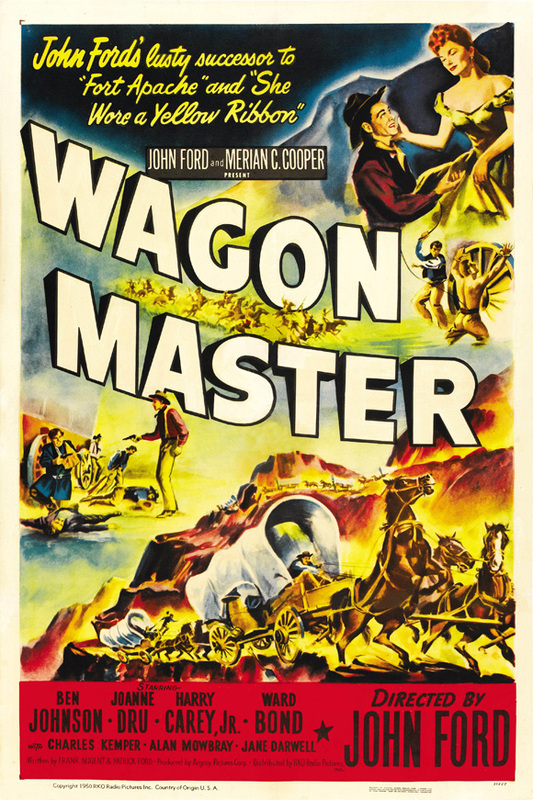 In the end, after rescuing the wagon train, the reformed Bascomb rides off with the federal officer to face the music for his life of crime. Even the love of a child can’t save him from that. In the 1940s and 1950s, outlaws had to be shown receiving the consequences of their crimes and seldom were allowed to just change their ways and get away with it. 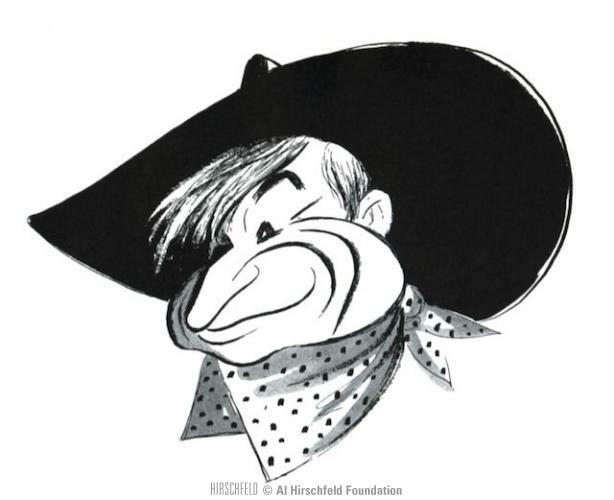 Al Hirschfeld caricatures of O’Brien and Beery and of Beery by himself. 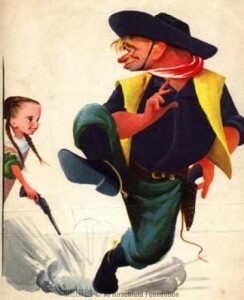 His characters don’t usually smile, contrary to what both of these seem to show. Wallace Beery had had a long and successful career as a bad guy (see him as Magua in the 1920 Last of the Mohicans, for example), and, surprisingly, as a rough-hewn not-really-so bad guy with a heart of gold. 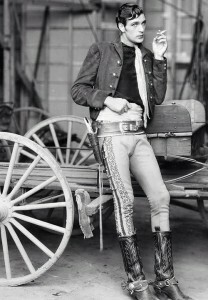 He was a big star in his time, even though he obviously lacked matinee-idol looks. By most accounts, Beery was not as nice to work with as the characters he portrays on screen, especially for child actors; he had all the coarseness his characters usually do, without the heart of gold. 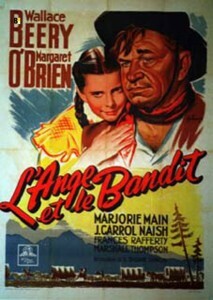 Margaret O’Brien claimed that she had to be protected by crew members from Beery’s insistence on constantly pinching her. 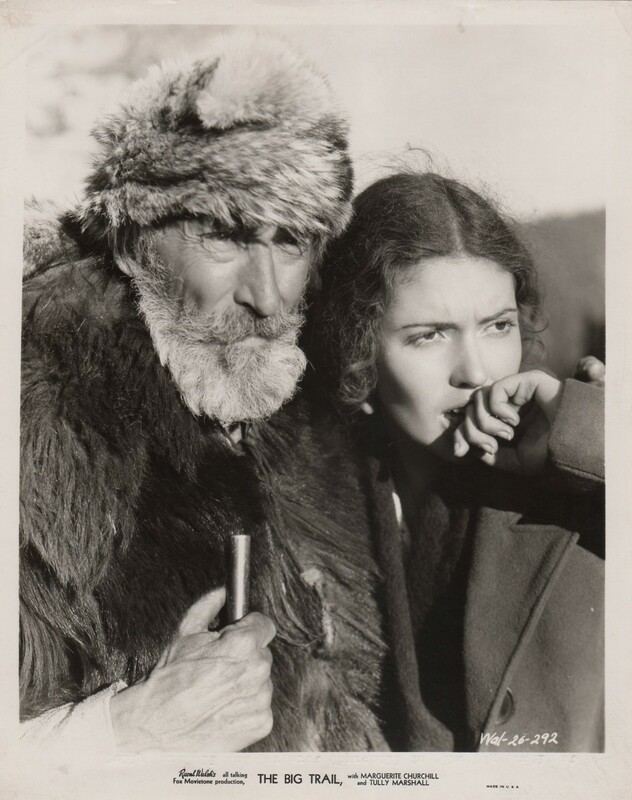 He and Marjorie Main were paired in a number of movies beginning around 1940 (Wyoming), as Beery had been with Marie Dressler in the 1930s. 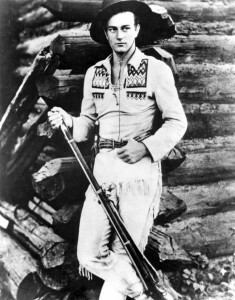 Bad Bascomb was one of Beery’s last five movies. It was kind of an old-fashioned film even in 1946; Beery died three years later in 1949. 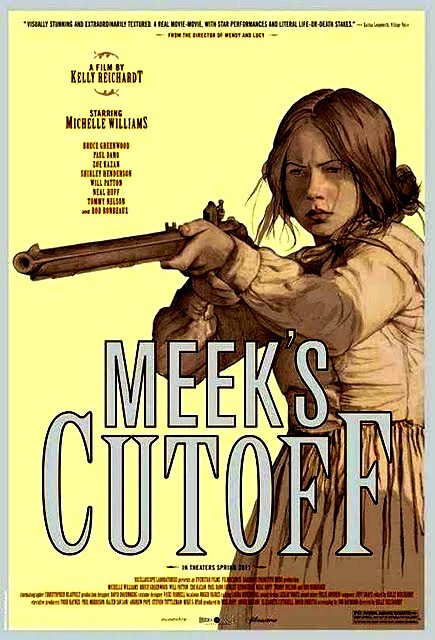 For current audiences, all the bonding with young Emmy can seem slow and cloying; others find it heart-warming, as the filmmakers intended. 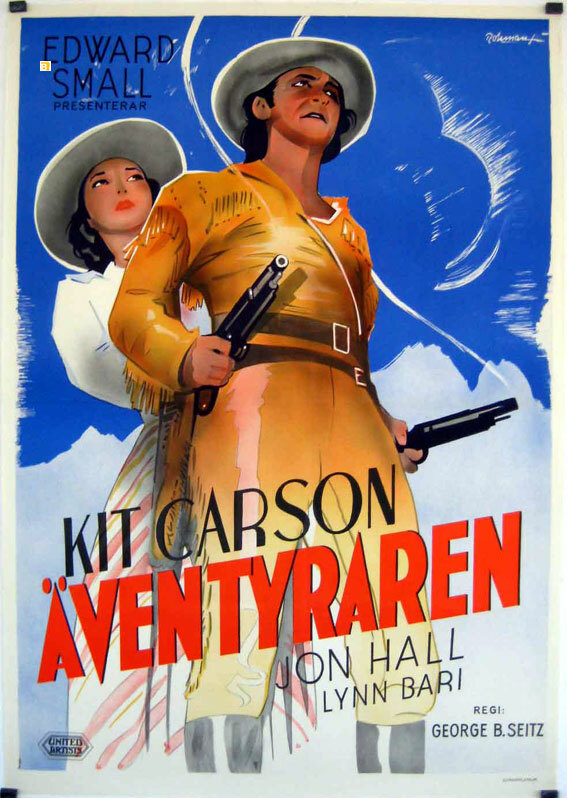 This is interesting as a cultural artifact, a sort of film that isn’t made now. Use it as a test, to see if you can get into the mindset of an earlier generation of filmgoers from almost seventy years ago. 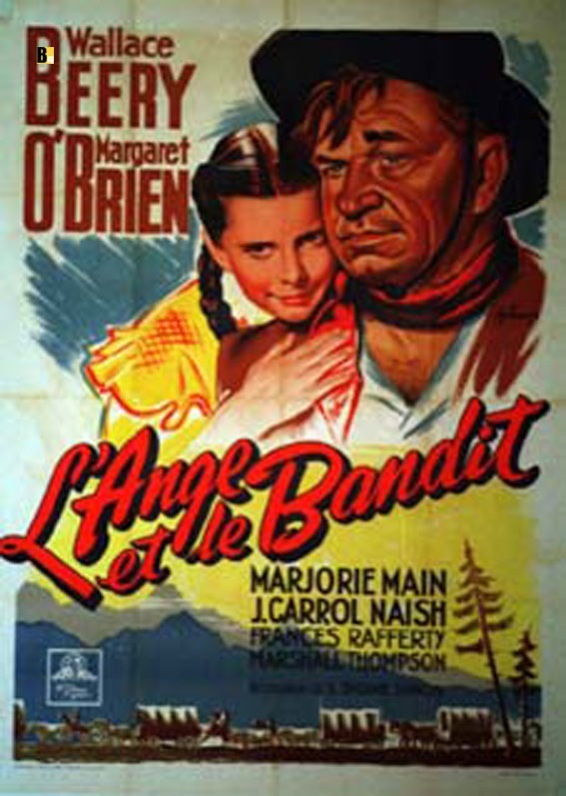 You might see this as similar in theme to Angel and the Badman, made a year later in 1947, where an outlaw is reformed by his love (fatherly in this case, rather than romantic, as in Angel) for a young religious female. 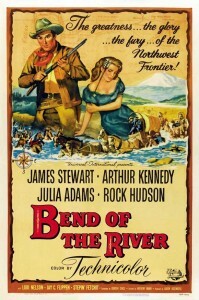 It is also said that Bascomb inspired Anthony Mann in making one of his own westerns taking a Bascomb theme (bad guy-fugitive seeks refuge in/leads wagon train) in 1954’s Bend of the River. The opening scene of Bend of the River pays homage to Bad Bascomb by having James Stewart ride up to a wagon and receive a piece of food from a little girl. 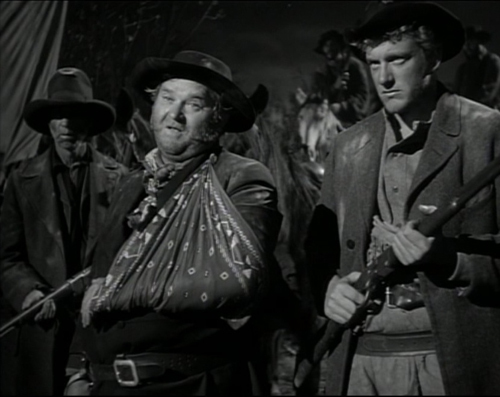 Some say that more than twenty years later in the original True Grit, John Wayne was channeling Wallace Beery as Rooster Cogburn, and winning his only Best Actor Oscar for it. In black and white, at 112 minutes. 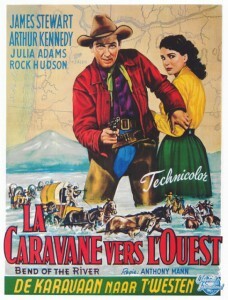 Filmed on location in Jackson Hole, Wyoming. 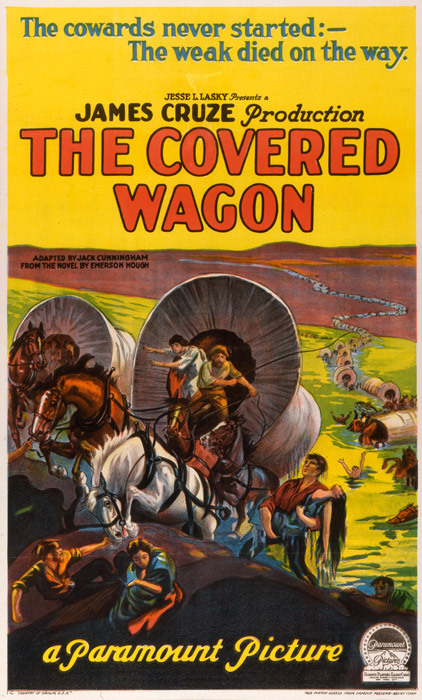 This entry was posted in More Westerns and tagged Mormons, Wagon Trains, Wallace Beery on June 2, 2014 by Nicholas Chennault. 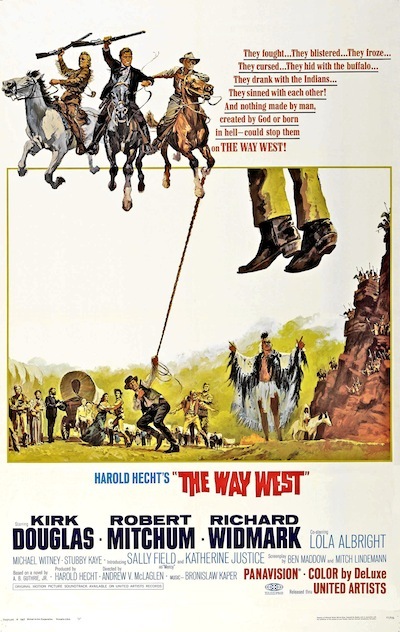 As the movie opens, Comanche Todd (Richard Widmark) is on the run on foot from what appears to be a posse. 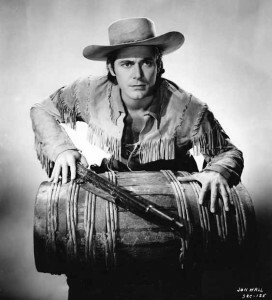 He gets two of them before the leader, the brutal Sheriff Bull Harper (George Matthews), captures him. 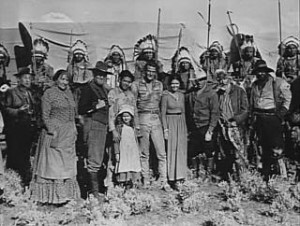 While Harper’s taking him back for trial, they encounter a wagon train of devout Christian emigrants in Apache territory and band together with them, at least for protection from the Indians. 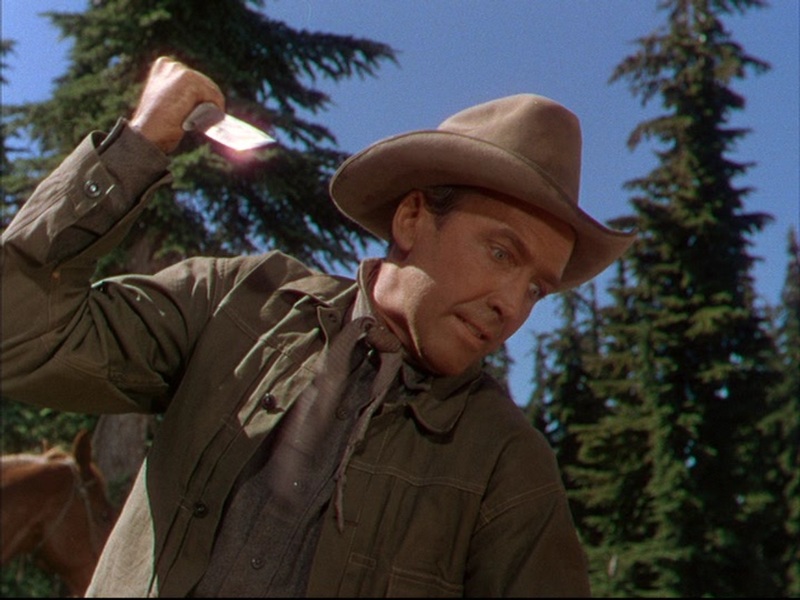 We’ve seen Todd kill others in the posse already, but Bull Harper doesn’t seem all that trustworthy either. The next night several young people are off swimming and, when they return to the wagons, they find them burned and everyone killed by the Apaches. Todd, who was manacled to a wagon wheel, went over a cliff with the wagon, but he’s still alive. 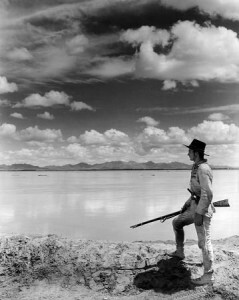 And he’s the only hope of the young people to get out of the desert and wilderness alive. Only he has the survival skills and the wilderness knowledge they’ll need. 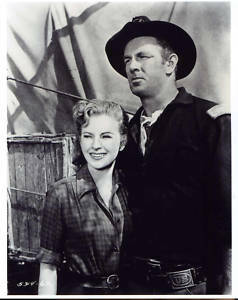 Jenny (Felicia Farr) and her young brother Billy (Tommy Rettig) are inclined to trust Todd, but two others (including Nick Adams) don’t and the remaining one (half-Indian, played by Susan Kohler) is undecided. The relationships develop while Todd guides them toward safety, with death lurking constantly around every corner. 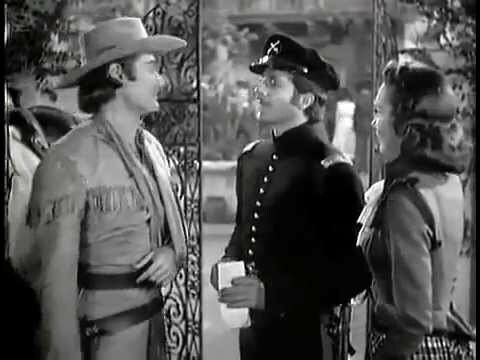 Eventually Todd saves a patrol of soldiers, who then take him into custody. 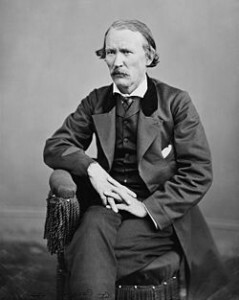 The final scene is Todd’s trial before General Oliver O. Howard, where it comes out that the sheriff and his three rotten brothers had raped and killed Todd’s Comanche wife and son and had left him for dead. 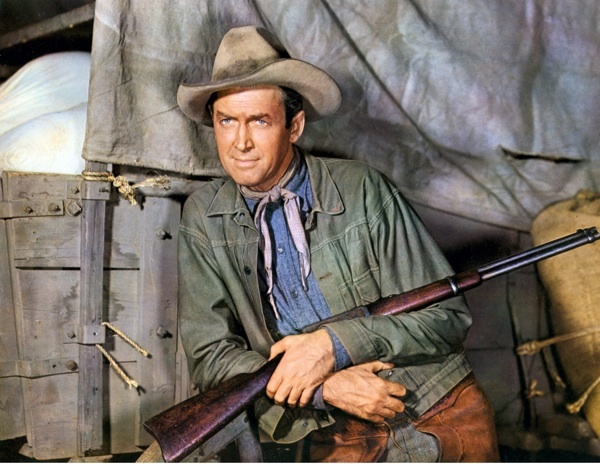 He’d been hunting them ever since. Delmer Daves, like John Sturges, is one of those directors from the 1950s whose westerns are usually worth watching. So is this. 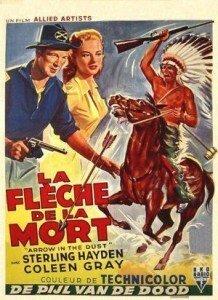 Although it’s quite watchable, however, it’s not smoothly plotted. 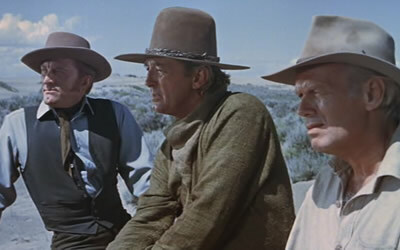 The ending doesn’t have the same edge that the rest of the film does. 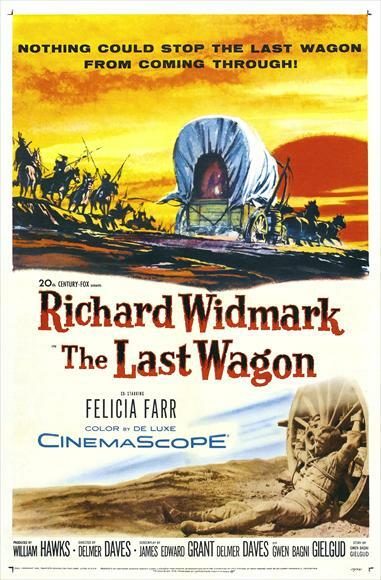 Widmark is excellent as Todd, keeping us unsure how bad or good Comanche Todd is, and Felicia Farr is also very good. 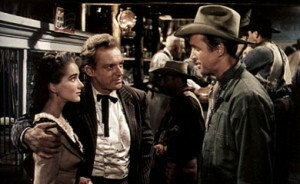 At this stage of his career, Widmark was playing both bad guys (The Law and Jake Wade) and good guys (Sturges’ Backlash and this) in westerns, although he had made his initial reputation ten years earlier playing psychotic killers in films noir. To see Farr in another western, she plays the girl who catches Glenn Ford’s interest in a barroom and delays him long enough that he gets captured in the original 3:10 to Yuma (1957), also directed by Delmer Daves. 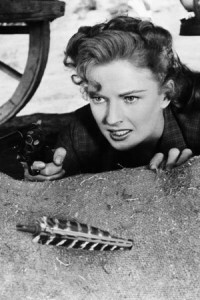 She’s also in Daves’ Jubal. 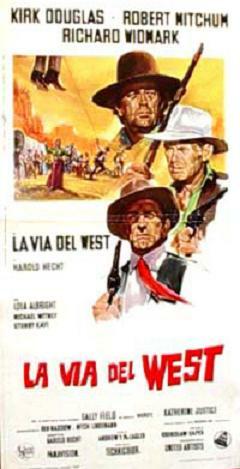 This film is better looking than much of Daves’ work. 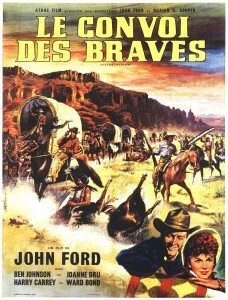 Shot in color (Cinemascope and Technicolor) in Sedona, Arizona. 98 minutes. 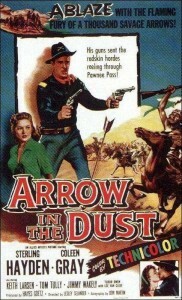 Music is by Lionel Newman, younger brother of Alfred Newman. This entry was posted in Westerns Worth Watching and tagged Cavalry Westerns, Delmer Daves, Native Americans (Indians), Richard Widmark, Wagon Trains on March 15, 2014 by Nicholas Chennault.